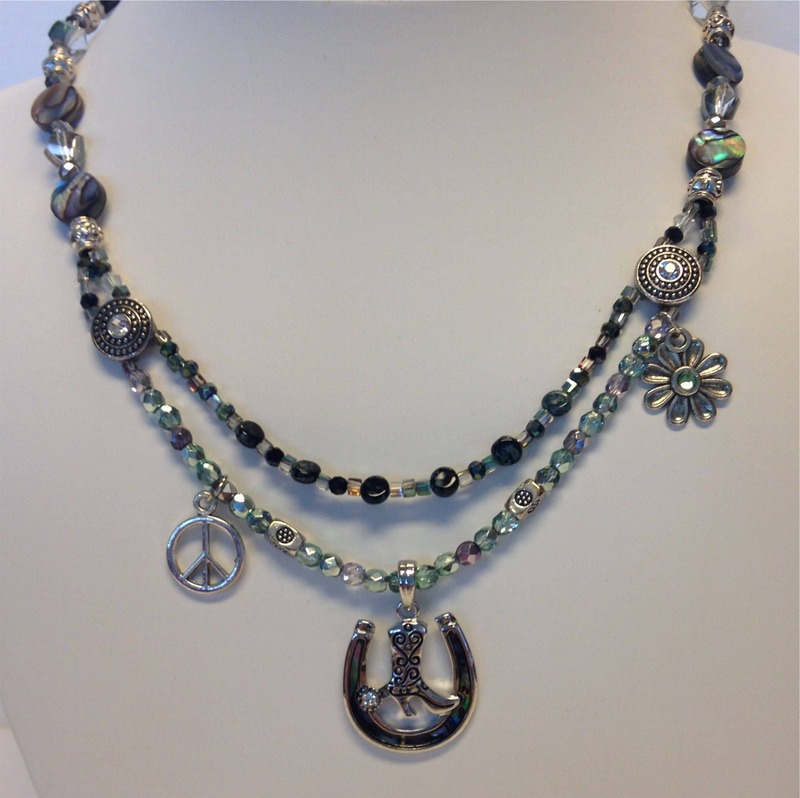 A Texas Hippie Chick necklace combines elements of the Hippie Chick with symbols of the great state of Texas. This THC features a tortoiseshell embedded horseshoe surrounding a cowboy boot. 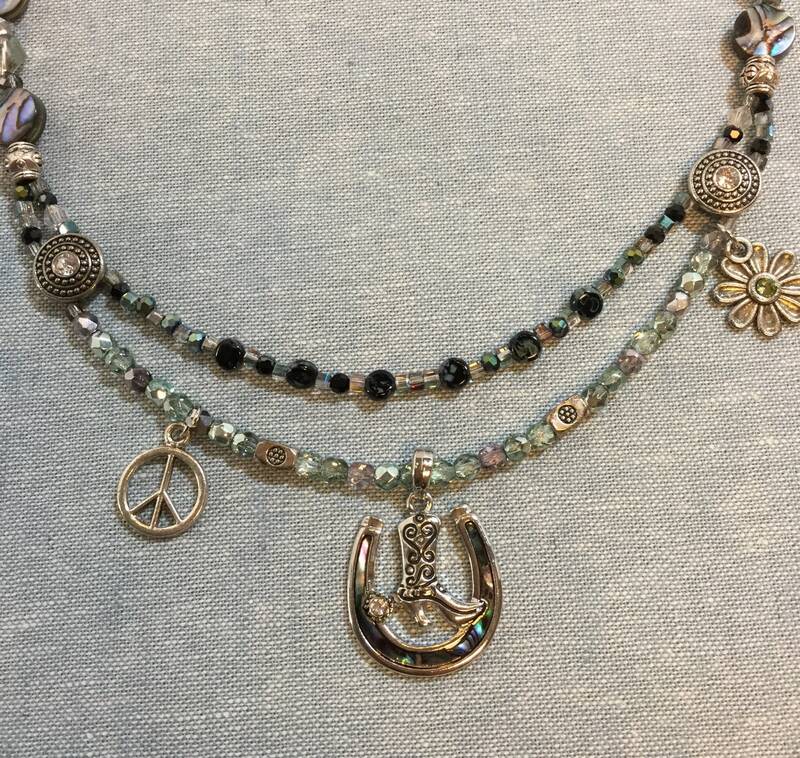 The pendant is framed by a peace sign and a flower with a single Swarovski crystal. 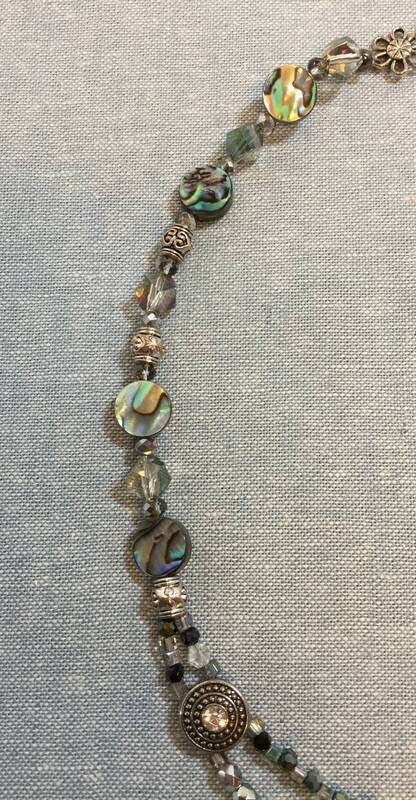 The double strands are composed of Czech beads and tortoiseshell rounds. Accompanied by a pair of Hippie Chick earrings: Sterling French hooks dangling peace signs, beads, and feathers. 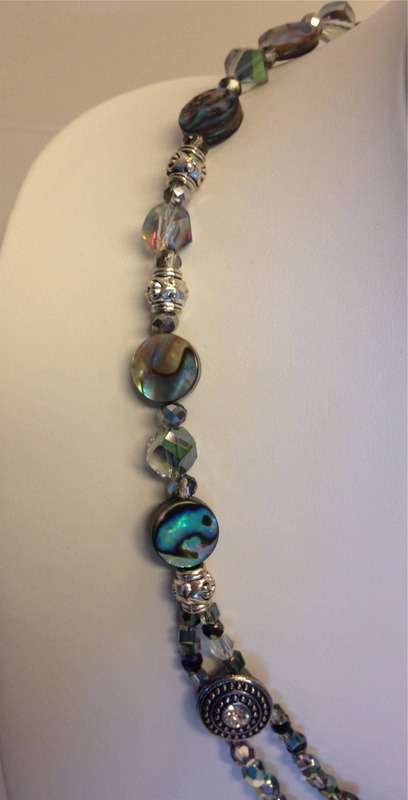 The necklace measures 16 inches, but it can be lengthened to 18 with the attached tail chain.